The Aggies (4-5) remain undefeated in the month of December while the Mustangs (4-5) dropped their second-straight game. NM State had a great all-around shooting night, finishing 42.4 percent from the field (25-59), 40 percent from 3-point range (10-25) and a season-high 82.6 percent from the free-throw line, sinking 19-of-23 shots from the charity stripe. The Aggies also continue to improve and leave their mark on the boards, outrebounding Cal Poly 44-37. The defense also once again showed up for NM State. The Aggies held a streaky Mustang shooting squad to 35 percent from the field while forcing 15 Cal Poly turnovers. Four NM State players finished with double-digit points. Junior Sasha Weber, who was shut out in the first half, led the way with 14 second-half points. She was 3-of-8 from the floor and finished a perfect 7-of-7 from the line. Sophomore guard, and reigning Western Athletic Conference Player of the Week, Moriah Mack was right behind with 13 points while also adding eight rebounds, including six on the offensive side, and eight assists, falling a couple of rebounds and assists short of the Aggies’ first triple-double since 1992. Junior Abby Scott added another 13 points while freshman guard Zaire Williams, who leads NM State in 3-point shooting percentage, finished with 11 points after sinking 3-of-6 shots from beyond the arc. The Aggies had an early 8-0 run in the first half that ended with Shanice Davis’ only five points of the half. The run gave the home squad an 11-5 lead with 16:23 remaining in the opening half. But the Mustangs retaliated with a run of their own, a seven-point run that gave them a one-point lead at 12-11 with just over 15 minutes left. The game would remain tight over the next several minutes. With the game knotted up at 18-18, a Cal Poly 3-pointer gave the visiting team a three-point lead heading into the under-12 media timeout. Points would become scarce over the second portion of the half, as NM State only scored six points in almost eight minutes of play, but the Aggies would only allow three points in the same stretch, as the game would once again be tied, this time at 24-24, with four minutes left in the half. The final four minutes would be, as the game, a back-and-forth contest, but Cal Poly’s final nine points would come on made 3-pointers as the Mustangs held a narrow 36-33 lead at the half. Scott once again tied the game in the first 30 seconds of the final half after sinking a shot from beyond the arc. After a Cal Poly bucket, NM State would mark six points in a row to open up a 42-38 lead with 15:22 left in the contest. But the Mustangs would answer with a 6-0 run of their own to retake the lead. With 13 minutes left the game would yet again be tied, this time 48-48, but after a Mack basket inside, Cal Poly took the lead on a 3-pointer, 51-50. Over the next four minutes, however, the Aggie defense would not allow a single Mustang point as NM State embarked on its 14-point run. The run began with five Brianna Freeman points and finished with Weber marking seven of the final nine points of the run. After the dust had settled the Aggies saw themselves ahead 64-51 with just under nine minutes left in the game. Cal Poly would cut the lead to as little as 10 a couple of times in the final seven minutes of the contest, but NM State would hit its free throws down the stretch and watch its perfect December remain intact. The Aggies will now leave the friendly confines of the Pan American Center and try to keep the winning streak going on the road. NM State heads to Long Beach, Calif., to participate in the Beach Classic hosted by Long Beach State. The Aggies will face Pacific on Friday, Dec. 19, beginning at 8 p.m. (MT) before meeting Florida Atlantic on Saturday, Dec. 20, at 4 p.m. (MT). 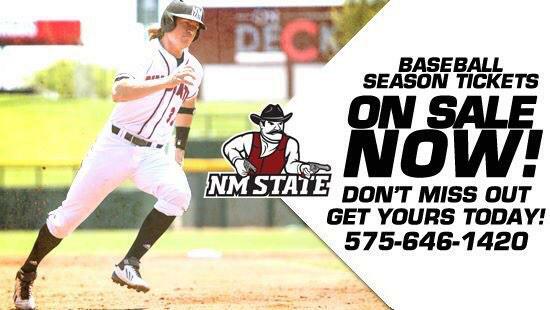 Both games will air live over the Las Cruces radio airwaves on AM 570 with Adam Young on the call.